A family-of-five is so cramped in their tiny bungalow their 19-month-old baby has to sleep in the kitchen. 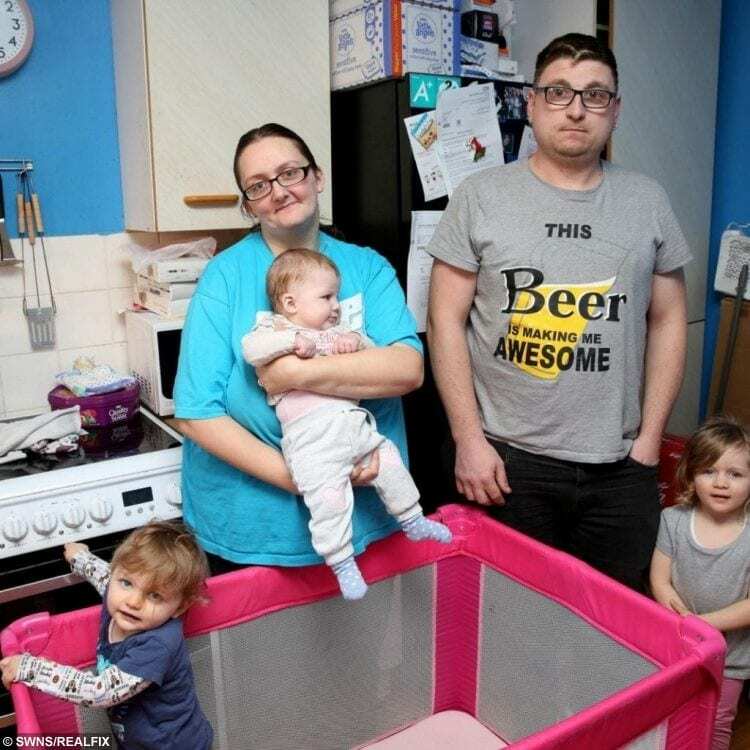 The infant children of Michelle and Martin Toms have been forced to sleep in their kitchen and front room because their one-bedroom bungalow has become so cramped. 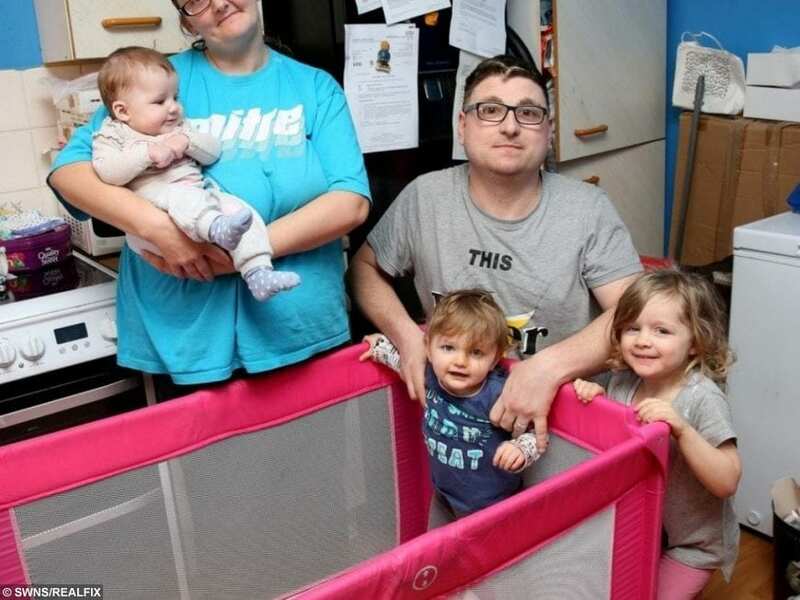 The couple said none of their three children is able to get a proper night’s sleep in the tiny home in Bedmond, Hertfordshire, and that their eldest daughter Lexi suffers so much she sometimes misses nursery. Michelle, 37, and Martin, 34, have been asking Three Rivers District Council for a larger property since they moved in in 2015 but have had no success. The parents share the only double bedroom of their Sanctuary Housing home with their six-month-old daughter Tori, while their middle daughter Kacie, who is 19-months, sleeps in a travel cot in the kitchen and three-year-old Lexi sleeps on a fold-out child’s bed in the living room. Michelle sent pictures to the council last month showing where her children were sleeping. A week later the family were told Three Rivers District Council had found a two-bed property for them, but within ten minutes the council called back to say there had been a “mistake”. 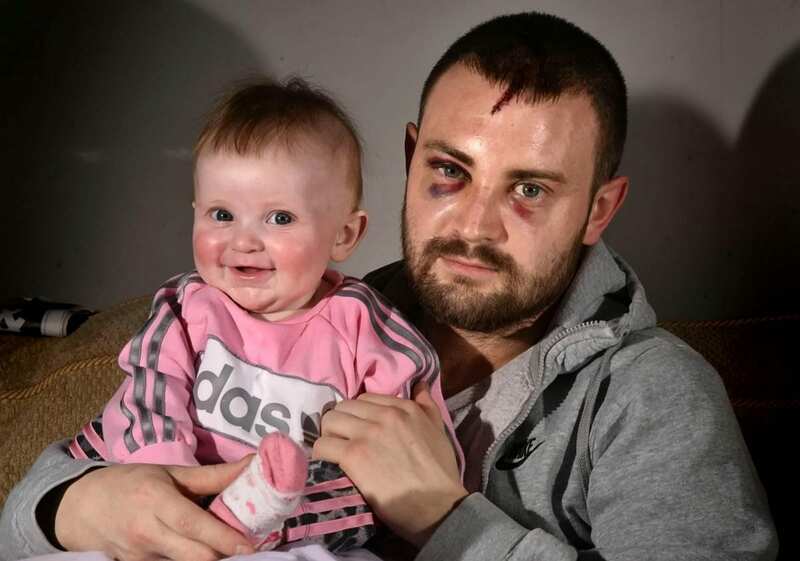 She said: “We got really excited but to learn a few minutes later it was a mistake was devastating. They said it was only a two-bed and we needed a three-bed. “It’s so cramped, everything is boxed up just so we have space to live in. “It’s been a long time to wait. 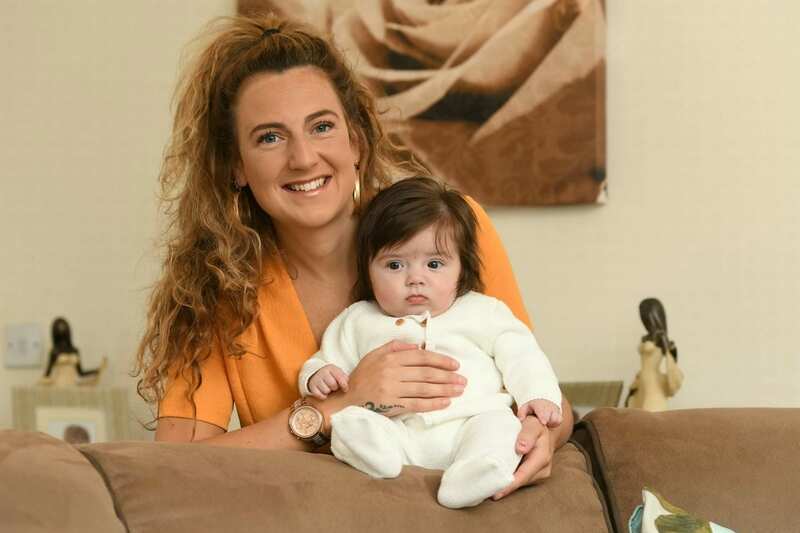 “When we moved in, I was pregnant with my first, but as time went on our needs changed because we had more children, and now they are waking each other up all the time. 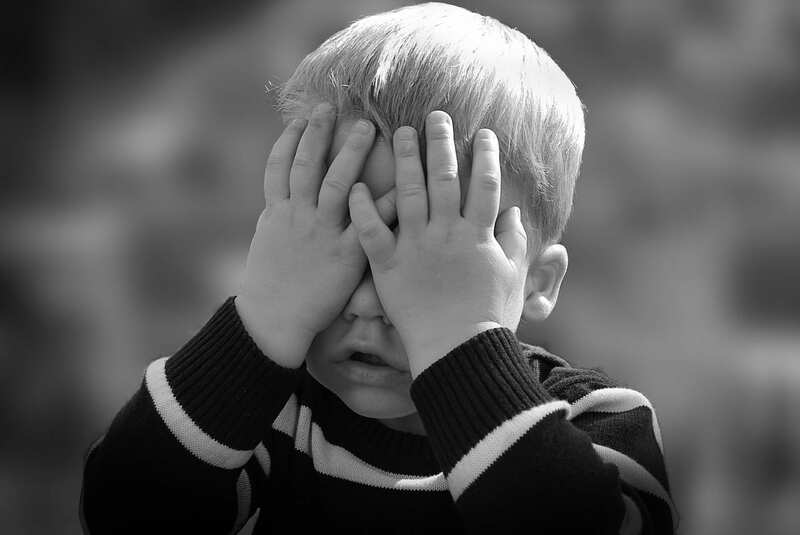 “It’s just awful to try and ensure that all the children get a proper nights’ sleep. “It is very difficult and I’m getting quite worried about the stability of my children and their safety because they don’t have a room of their own. “The middle one is having hip trouble and she sleeps in the kitchen at night in a travel cot, but I am worried that when she can walk properly she will get out the cot. “I’m up all night checking she is OK. I’m worried about her reaching over and grabbing something sharp. It is chaos. “Three Rivers is the one we have been dealing with in bidding for a property and they gave us a number to bid with online. “But we have had trouble logging in and they told us to ring up every Friday saying they would bid for us. 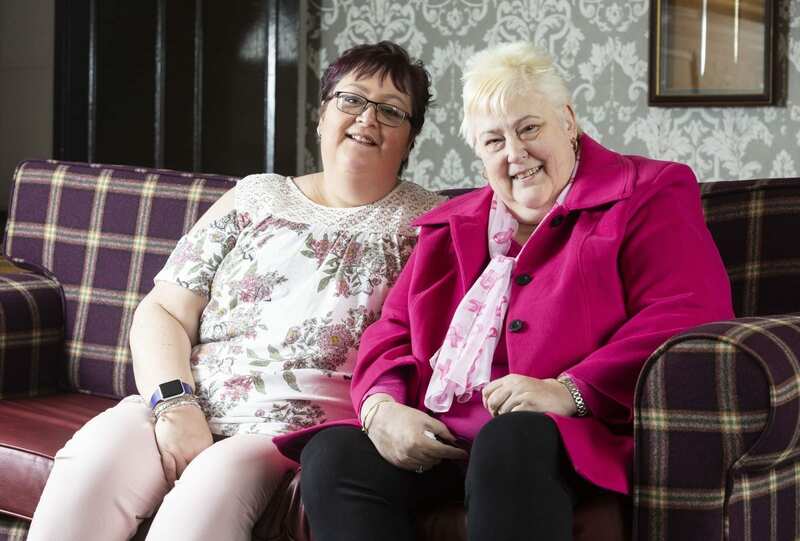 Michelle is registered disabled and her husband has learning difficulties, so the pair live off benefits. She said: “Sometimes my eldest will miss nursery because she is just so tired, she is also having night terrors which doesn’t help. The Toms have also approached Citizens Advice for instructions on what to do next. A spokesperson for Three Rivers said: “We are sorry to learn that the Toms feel let down by the council. “We can confirm Mrs Toms is prioritised in Band B on the Housing Register. “Three Rivers’ allocation scheme offers customers a choice in what properties they are interested in; this means customers must bid for properties. “Mrs Toms has been eligible to bid for three-bedroom properties since October 2018. “However, she has only bid for two three-bedroom properties when six have been advertised. “We would strongly encourage her to bid on all available three-bedroom properties to increase her chances of moving to larger accommodation. “Mrs Toms has recently contacted our Housing Supply Team. “Unfortunately, a fault in our bidding system allowed her to bid for a two-bedroom property in January 2019 which resulted in us calling her. ” As soon as our officers realised this mistake, they contacted her and apologised for our error. “We are sorry for any inconvenience this may have caused. Next article » Mystified Homeowner Left Baffled As To Who Was Tidying His Garden Shed Discovers Culprit Is A House-Proud Mouse!